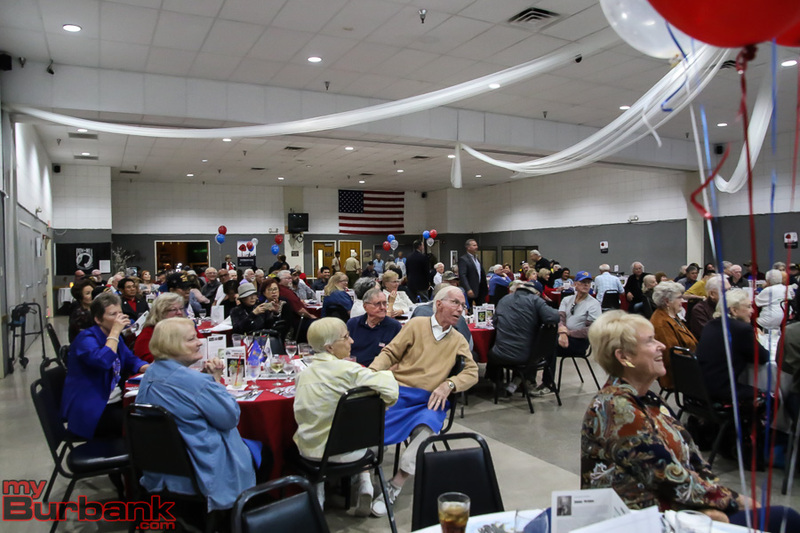 The Burbank Elks Lodge #1497 held their Salute to Our Veterans Dinner Wednesday evening, November 7, with the largest crowd they have ever had for this type of event. 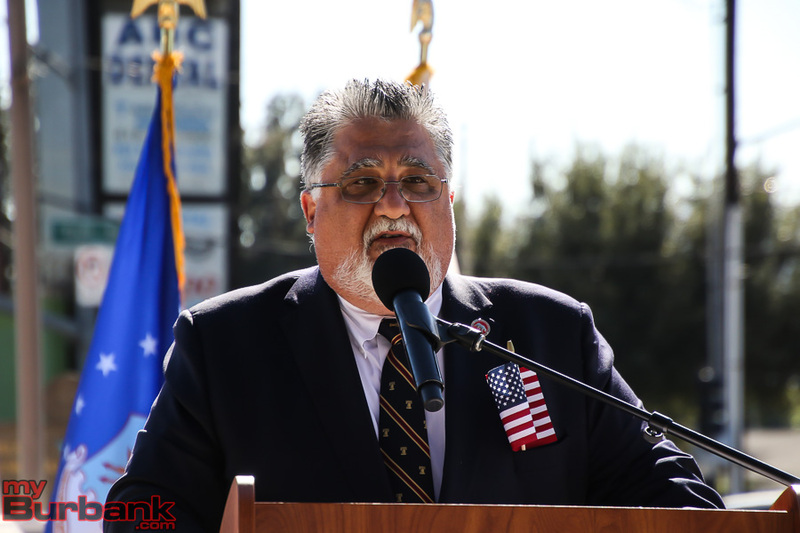 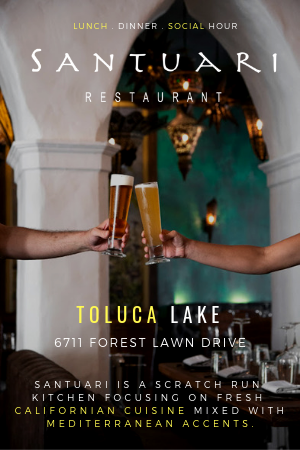 More than 200 people came out to honor veterans, including many who were bused in from across the San Fernando Valley for the meal and party. 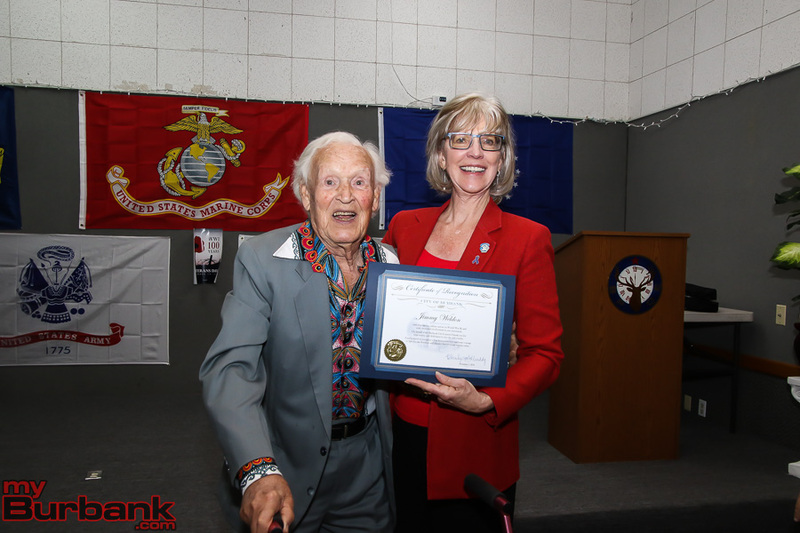 Burbank Mayor Emily Gabel-Luddy was on hand to thank the veterans and present Burbank resident Jimmy Weldon with a certificate. 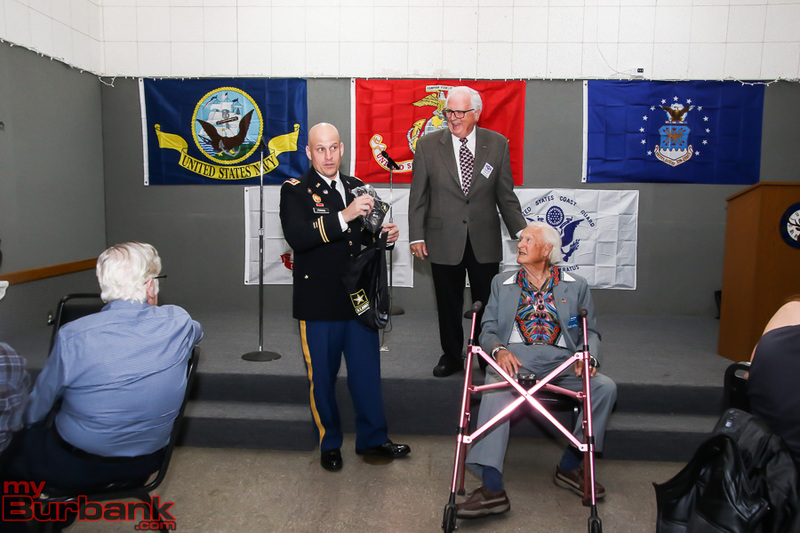 Weldon served in World War II with the 120th Engineer Combat Battalion in Europe where he helped construct pontoon bridges and cleared minefields. 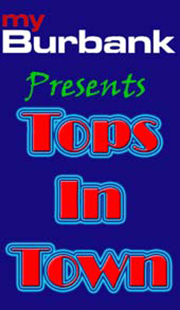 Weldon became a television personality and worked in Dallas, Texas, in the 1950s. 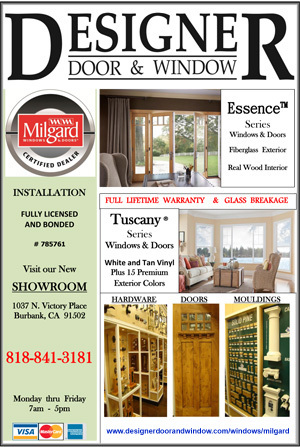 Weldon is also known as the voice of “Yakky Doodle” in the Yogi Bear animated series. 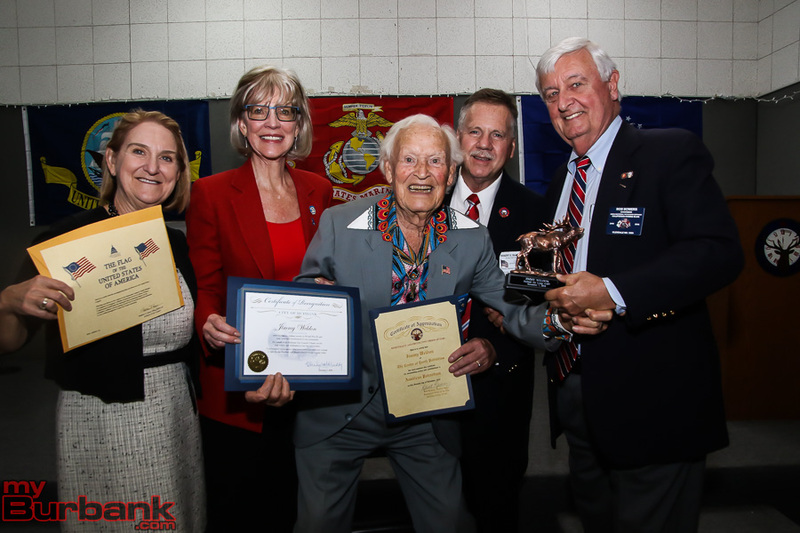 At 95, Weldon has been a much sought-after motivational speaker. He also authored Go Get ‘Em, Tiger, which has sold nearly 30,000 copies. 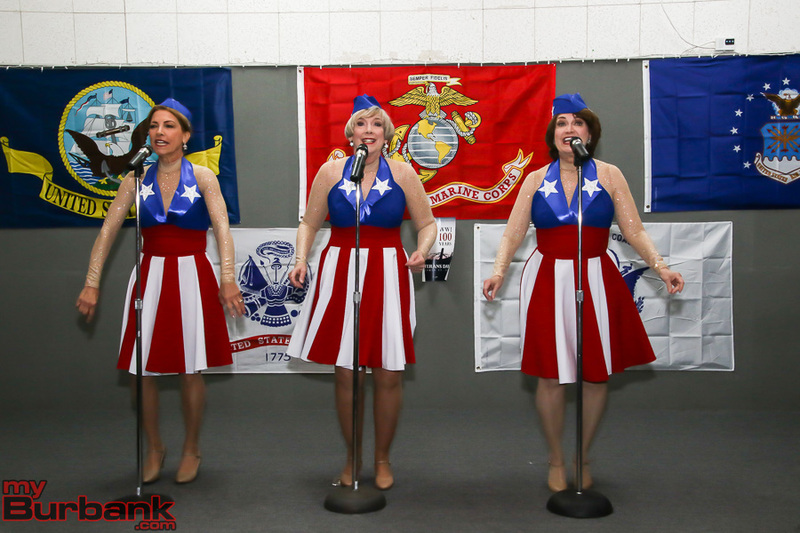 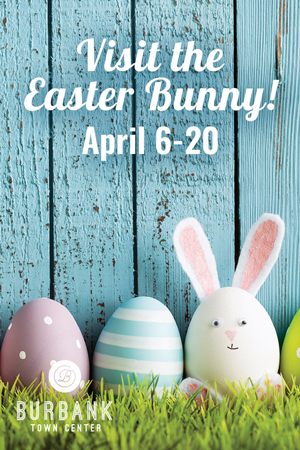 The program also enjoyed entertainment from Andrew Sisters tribute group of Bobbi Stamm, Chera Holland and Mary Lou Metzer. 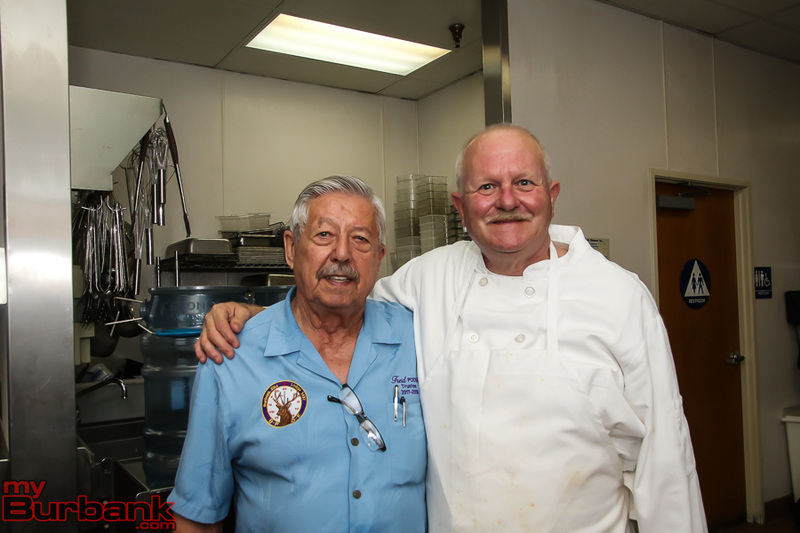 Burbank Boy Scout Troop 210 served dinner to the guests and presented colors. 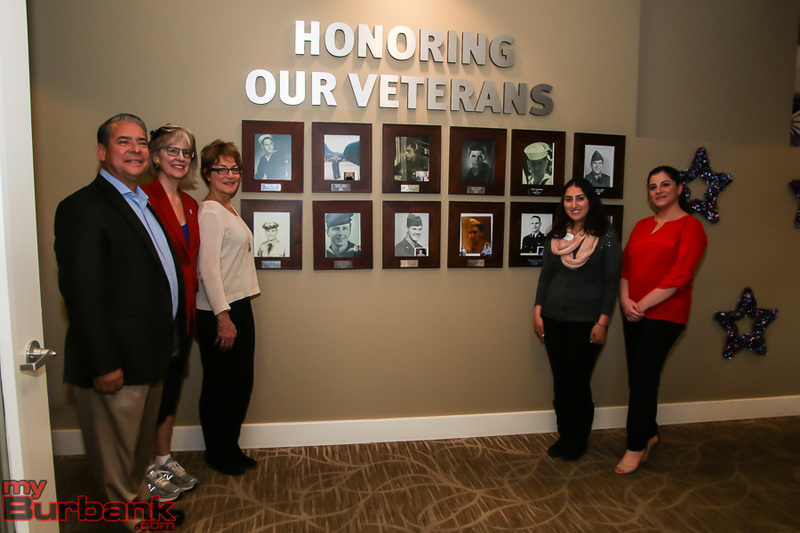 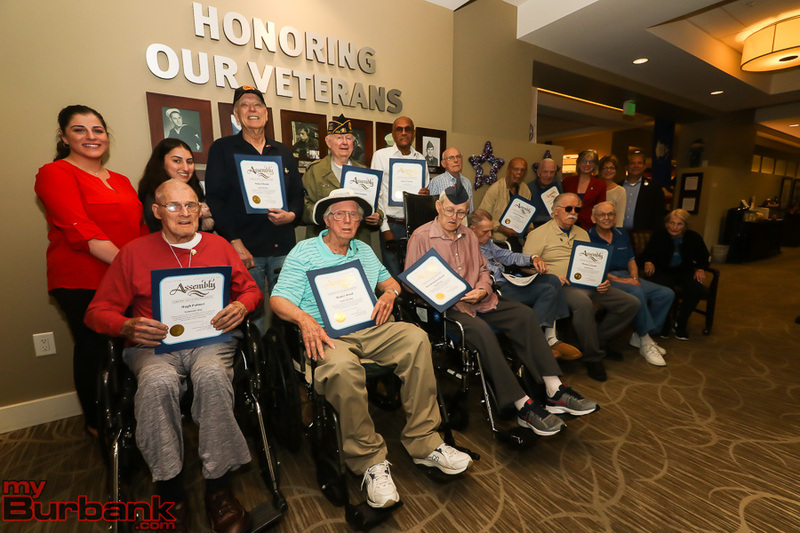 On Friday evening, November 9, The Heights of Burbank, a senior living facility located on Willow Street, honored several of their veteran residents with a small party. 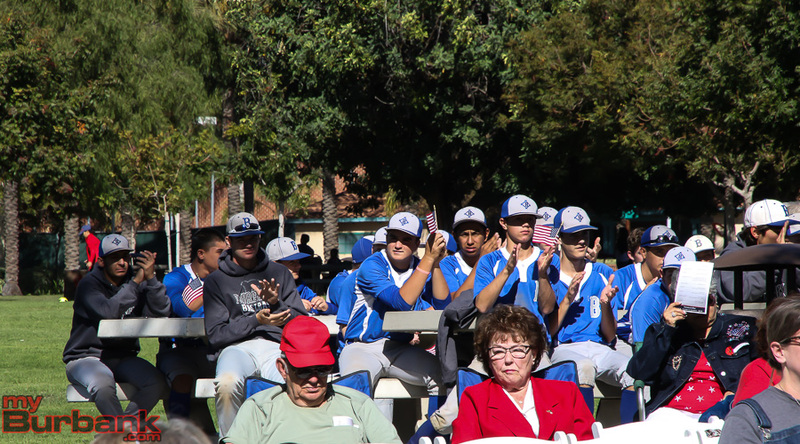 Gabel-Luddy, Vice Mayor Sharon Springer and Councilman Bob Frutos were on hand to thank the serviceman personally. 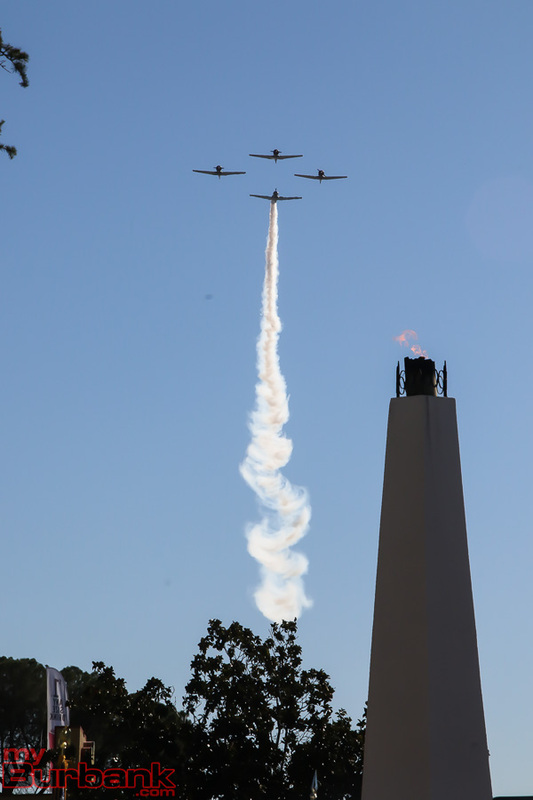 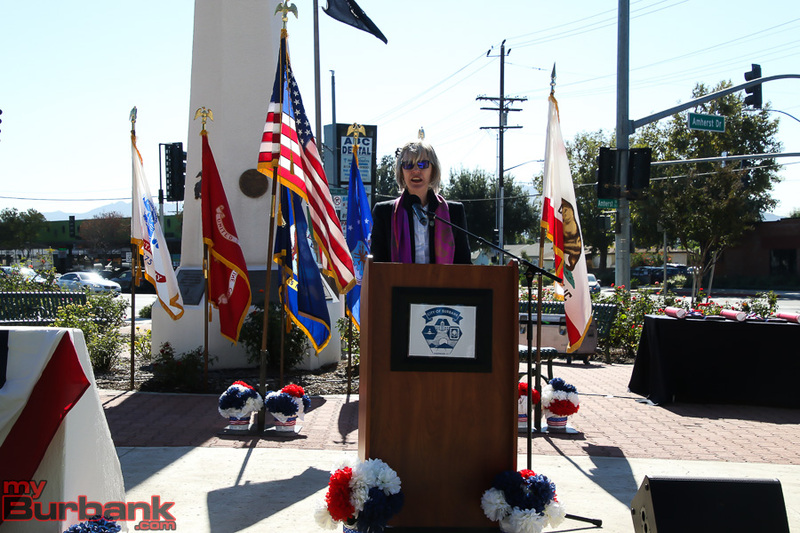 On Monday, November 12, the City held their Veterans Day Ceremony at the McCambridge Park War Memorial. 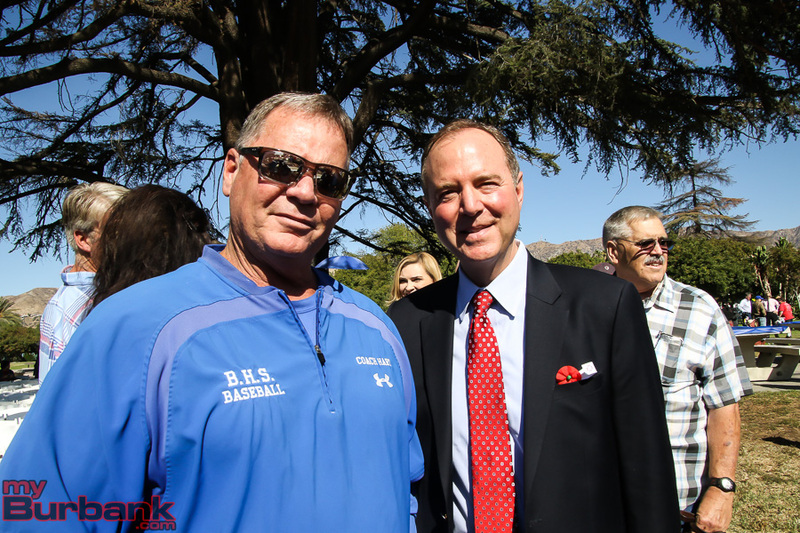 Remarks from Congressman Adam Schiff, Anthony Portantino and Laura Friedman were heard along with comments from Gabel-Luddy. 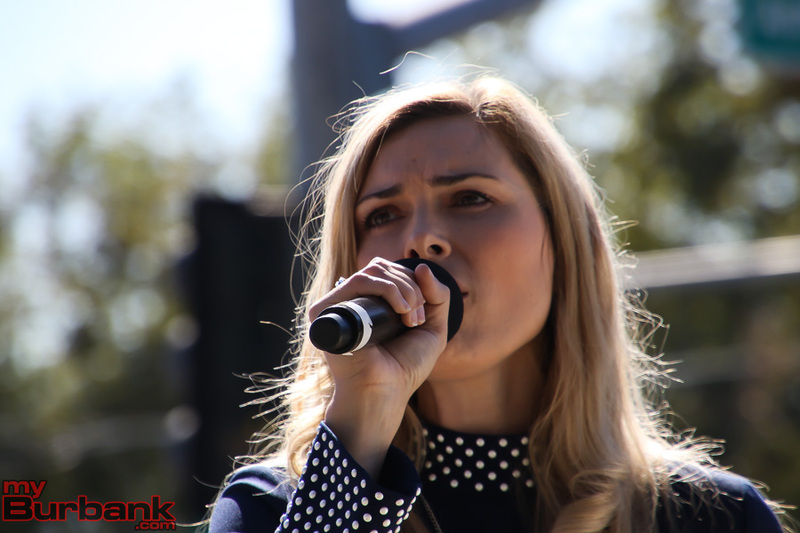 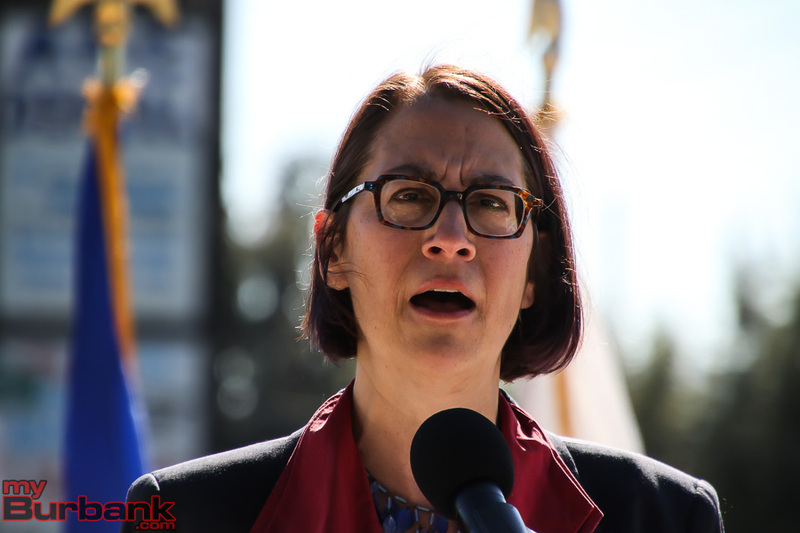 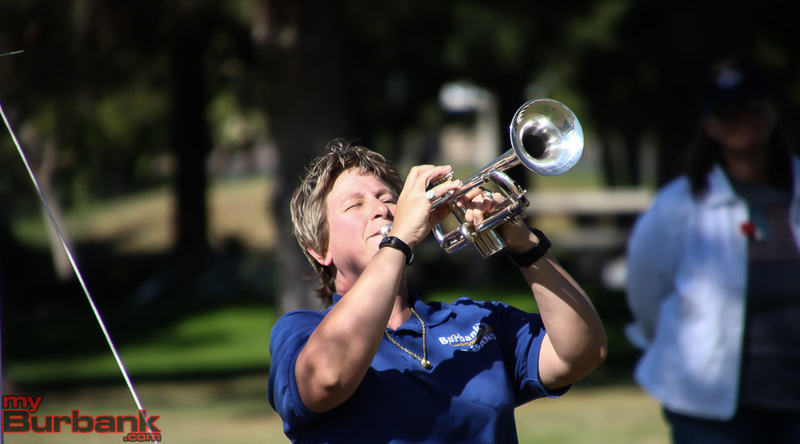 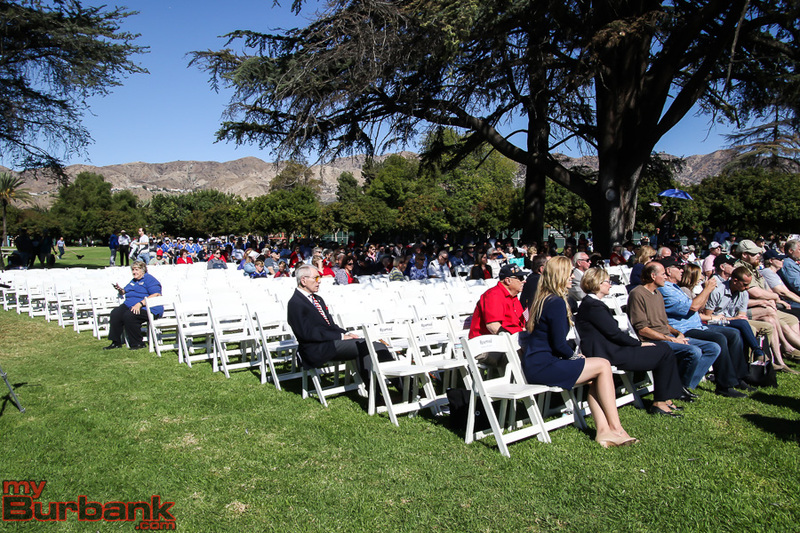 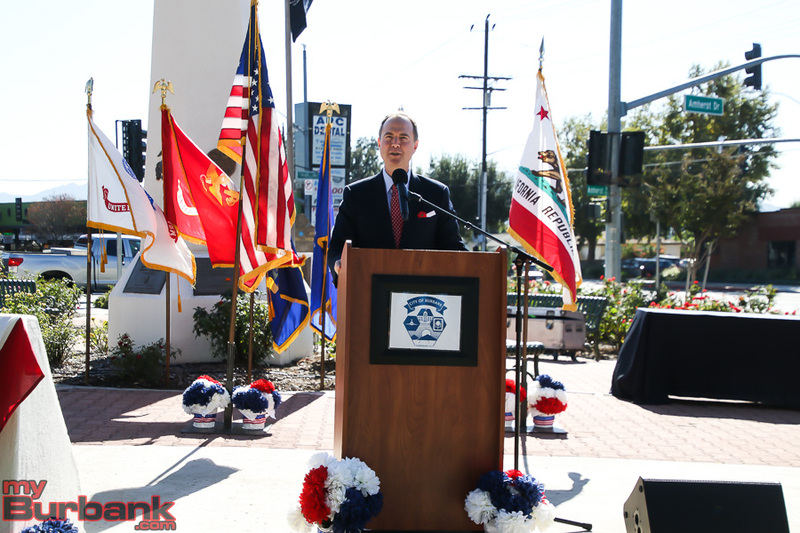 The ceremony this year included the voice of Hedi-Marie Ferren singing the national anthem along with a piece she wrote honoring soldiers called “Eyes of a Solder.” The Burbank Community Band was on hand to play the Armed Forces Medley. 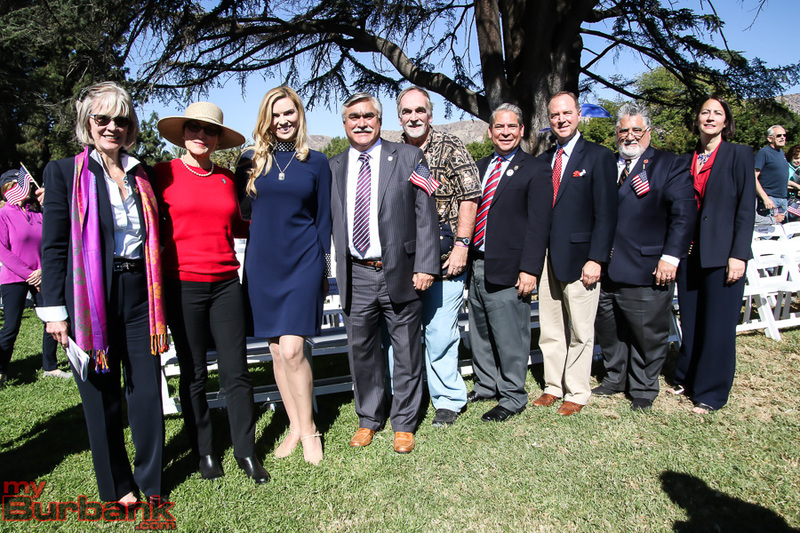 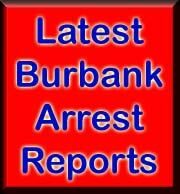 The Military Service Recognition Program honored Burbank residents Christina Reuter of the United States Air Force, Joseph Reuter the United States Air National Guard and John Paul Grasse of the United States Army as they have served and now returned back home to Burbank. 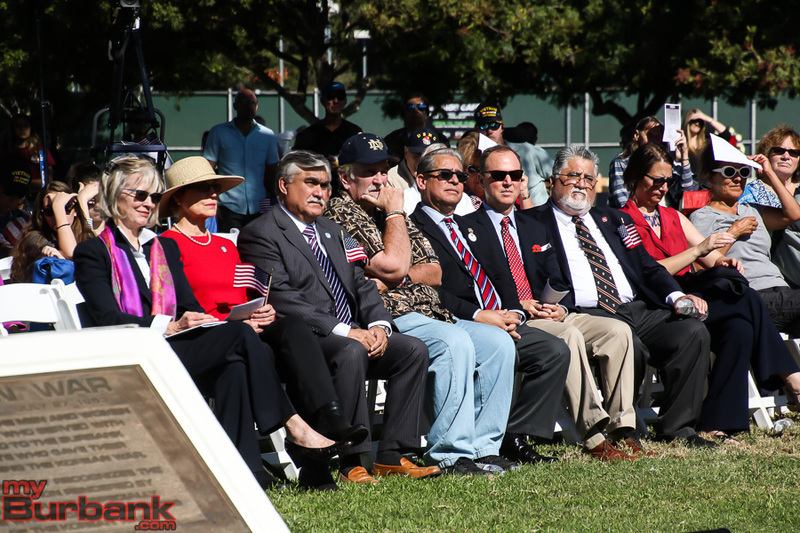 This entry was posted in Events, News, Organizations and tagged Jimmy Weldon, mccambridge park war memorial, veterans day on November 14, 2018 by Staff.